I am of the mind that many children’s books appeal just as much to adults as to their intended audiences. Below are five books I would recommend to any child, and to the adult reader yearning to reconnect with their own childhoods. 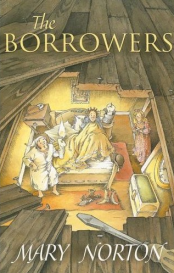 The Borrowers tells the story of a family of little people – the ‘borrowers’ of the novel’s title – as they face the threats and cruelty of the humans around them. The borrowers are all delightfully endearing in their own ways, and the way in which they use human tools to aid their own lives is just lovely. If you enjoy The Borrowers, I am pleased to let you know that there are several more books in the series, each just as wonderful and exciting as the first. I read this for the first time a couple of months ago whilst travelling down to London to see the marvellous play version of ‘To Kill a Mockingbird’. Whilst I normally pick something a little more grown up to take with me on journeys, it was the only book on my to-read shelf which was small enough to fit into my satchel along with the many other items I had to transport with me. Charlotte’s Web is an adorable story, even for an arachnophobe like me. Wilbur the pig is the most endearing, but every single character, however small their appearance, plays some importance in the grand scheme of things. I was trying to shy away from using already popular books in this list, but I couldn’t help putting Pippi Longstocking in. Pippi – full name Pippilotta Delicatessa Windowshade Mackrelmint Ephraim’s Daughter Longstocking, or Pippilotta Viktualia Rullgardina Krusmynta Efraimsdotter Långstrump in Swedish – is one of my absolute favourite protagonists, and the adventures she gets up to are full of wonder and imagination. 4. The It-Doesn’t-Matter Suit – Sylvia PlathFew people know that Plath wrote children’s books alongside The Bell Jar and her poetry, but she did. All of her children’s stories are delightful, but The It-Doesn’t-Matter Suit is particularly charming. It tells the story of young Max Nix, who is searching for the perfect outfit. Plath’s writing is both simplistic and lovely, and the illustrations throughout are just gorgeous. Suffice to say, Fleming’s Chitty Chitty Bang Bang is so much better than the film which many of us watched at some point during our childhoods. The story is simple but well crafted, and there is no creepy child catcher in sight. Although I am scheduling this post rather far in advance, Christmas will be almost here by the time this is posted, so I thought it would be a good idea to post a list of marvellous Christmas reads. All of these are ones which I have very much enjoyed, and which I will be sure to be re-reading this year. Another Sunday snapshot which focuses upon some wonderful wintry reads. Below are ten books, all set in winter or featuring wintry words in their titles, which I’ve read and very much enjoyed. I like to theme my reading around the seasons as far as I can, and what better thing to post in the run-up to Christmas than a list of best books set in the wintry north? The first five are books which I have very much enjoyed and would highly recommend, and the last five are those which are high on my wishlist. Which are your favourite books set in the north? Today’s Sunday Snapshot focuses upon ten poetry collections, chosen for their marvellous titles alone. The final part of my childhood favourites countdown is here at last. Below are five books which had a profound impact on me as a child, causing me to be incredibly bookish far into my adulthood. I feel that no explanation is needed for the following. They are merely sumptuous stories set at different times and in different places, with enchanting and wonderful characters, which I absolutely adore. 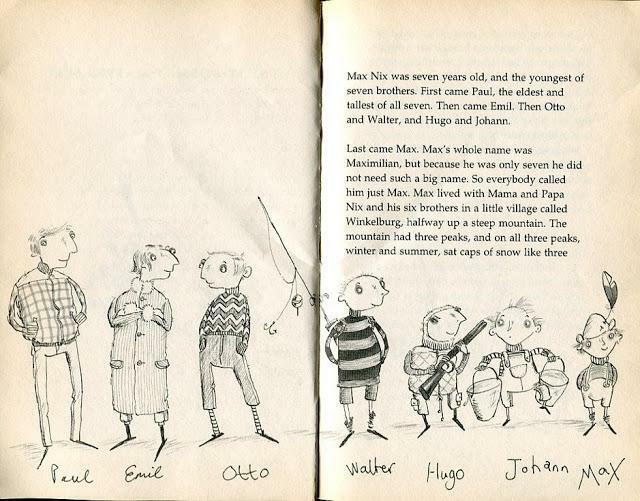 Quirky, fun and beautifully illustrated, especially the Tove Jansson edition. I love the book so much that I have three separate copies of it. 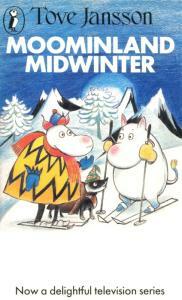 I used to adore these tales, and would read them with my Mum on a regular basis. The ITV adaptation of the stories was absolutely charming. What’s not to like about a story of a wonderfully bookish and intelligent little girl who finds happiness? Absolutely lovely. I’ve yet to meet anyone who hasn’t enjoyed the Faraway Tree stories, and this is a particularly great collection. I adore the way in which the new lands come to the top of the tree, and the adventures which ensue along the way. This book and its sequels kept me amused for hours. It is presented in such an exciting, lovely format.